For fans of the less Force related corner of the Star Wars universe, there’s a lot to love in this novel, and Older does a fantastic job of capturing the spirit, charisma, and motivations behind both Han Solo and Lando Calrissian, the dual protagonists of this Star Wars book. Older proves that he understands what makes both characters tick, and the way that the two interact with one another in the book served both to remind me why I loved the pair so much in the original trilogy and to get me really excited to see their first adventures together in the upcoming Solo film. 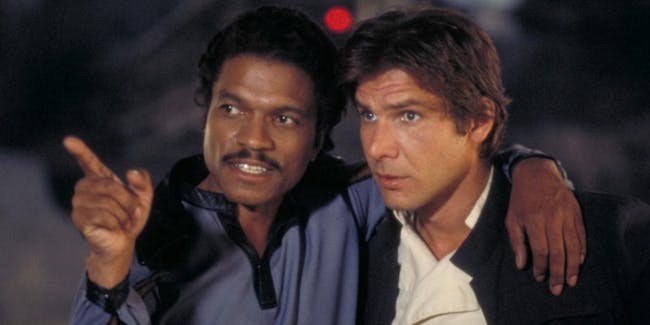 From their constant cocky banter and attempts at one-upping the other to their ability to also work together seamlessly as partners in crime who do genuinely care for each other, Han and Lando are as interesting a pairing as the classic Han and Chewie duo (and maybe even more so in some respects). Speaking of sidekicks, Chewbacca definitely takes a back seat in this one. He has his moments, but if you’re looking for a Han and Chewie adventure, you’ll have to wait a little longer to catch the two working together in the movie next month. Likewise, Lando’s droid partner L3-37 plays a part in this novel as well, but while her role may be a little more prominent than Chewie’s in the book, she is still ultimately a side character, though her actions in the book play a huge role in the overall story, and what little we did get of her leads me to expect that she will be a fan-favorite in the movie, much like Alan Tudyk’s K-2SO in Rogue One. The book is, for the most part, a genuinely fun and enjoyable ride, and where it excels (which is mainly in characterization) it does so in earnest. However, it’s certainly not without its own shortcomings and is far from perfection. The main problems I had with this one were with its fairly standard expanded universe-esque plot, its somewhat sluggish second act, and a slight overuse (in my opinion) of modern culture references that at times is reminiscent of Wendig’s writing in the Aftermath books without ever fully embracing any direct parallels. I really didn’t have a huge problem with this last point personally, but I wanted to mention it as no doubt some readers prefer a Star Wars universe that doesn’t remind them so much of the real world that we currently live in. 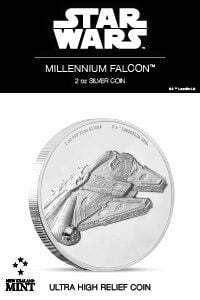 On that same token, some don’t mind or even enjoy that aspect of some of the more modern Star Wars tales, as Star Wars has always been a reflection of the culture in which it was created in numerous ways. 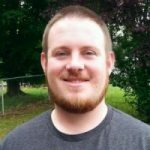 In the end, these problems barely hindered my overall experience with Last Shot, and I will definitely give my recommendation to give this one a read for yourself. It’s one of the more adult friendly Star Wars novels I’ve read, dealing with various relationship struggles such as Han coming to terms with being a husband and a father (while he feels like a perpetual failure in both areas) and Lando trying to reconcile the man he’s always been with the man he wants to be for a woman that he has fallen head over heels in love with. While not explicit in any way, the book also touches on more adult themes such as the contrast between the numerous romantic encounters in Lando’s past to his newfound desire to have a more meaningfully intimate monogamous relationship with a Twi’lek woman named Kaasha, an old flame that he is reunited with once again. 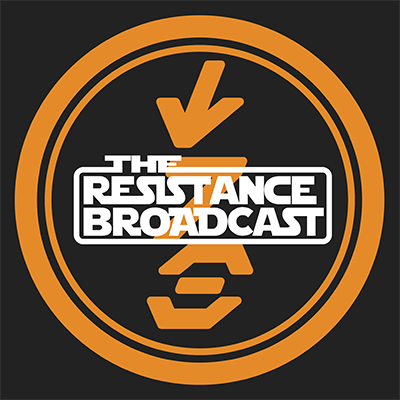 On the political spectrum, the demilitarization of the New Republic is the issue of the day, and you can see from even this early on some of the more negative effects that this decision has on the galaxy, which as we know will ultimately lead to a defenseless democracy that requires Leia to step out and create a Resistance of her own. The issue of droid sentience and their forced servitude is also raised as well as the dangers of dogmatism in regards to one’s views concerning the artificial beings. This is nothing new to the genre and really is not even new to Star Wars, but this story really makes you stop and consider the plight of the droid and other forms of artifical intelligence like no other Star Wars story before. Is a droid a person? Or is it simply a machine? This is one of the more thought provoking elements of the story and plays out to great effect in the book. The villain of the book is a crazed ex-surgical student named Fryzen Gor who lost his mind in a traumatic situation years ago when he was kidnapped by a gang on his home planet of Utapau. After trying to save his dying friend, something snaps in Gor’s mind, causing him to question everything he ever thought about medicine. Seeing the value and longevity in droids, he begins to favor them over flesh and blood, to the point of wondering why droid appendages are always given as replacements for lost fleshy limbs and not the other way around. 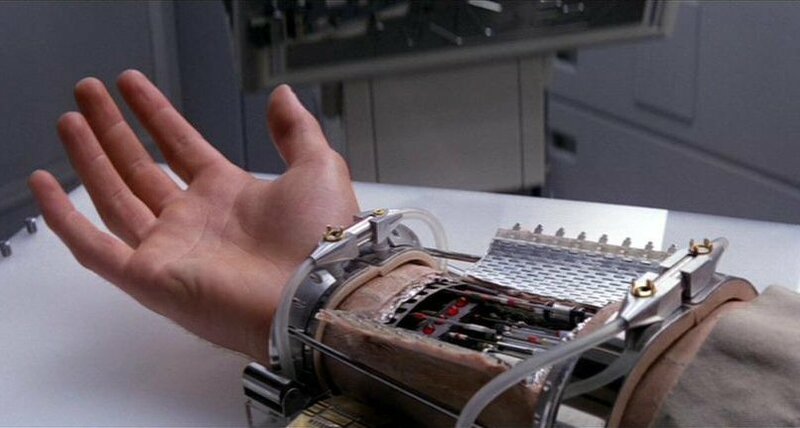 Gor then kills his friend, takes his arm and surgically attaches the bloated appendage to a medical droid. Gor begins to experiment with his droid/creature amalgamations, even going so far as to capture and kill whomever he needs for his experiments. He’s pretty much your typical mad scientist type, and it should come as no surprise that the main plot of the book revolves around the need to secure a device from Gor that the villain intends to use to send out a “kill” order to droids all over the galaxy, ushering in an age that would make Marvel’s Ultron green with envy. The story plays out about like you’d expect, and in the end, Han and Lando save the day with the help of a hotshot pilot named Taka (who is described as being a lot like a young Han Solo, but it should be noted that they are always referred to using the singular “they” pronoun), Lando’s girlfriend Kaasha, and an Ewok slicer named Peekpa (who was introduced to the duo by Conder Kyl from the Aftermath trilogy). The little fuzzball might just be my favorite character in the party. She is clearly a skilled slicer, but although she is able to understand Basic, she is unable to speak it, which leads to a lot of fun moments of frustration between her and the others. Her reverence for Chewbacca is also quite endearing as the Wookiee saved her sister’s life on Endor. What I didn’t expect was the amount of smiles that crossed my face after reading the various character interactions in the novel. From a buck naked pint-sized Ben Solo rushing out of the bathtub just to see “Unca Wanwo” to Lando punching Han in the nose in anger only to find out later that he was just as much at fault for his own predicament as Han was, there are just a ton of really enjoyable character moments in the book, and those are the moments that Older does really well. The story is told across three different timelines with the current timeline being about two years after Return of the Jedi. The other two follow Han and Lando at different times in their past where each had an encounter with the story’s villain, Fryzen Gor, and his doomsday device that serves as this tale’s MacGuffin. 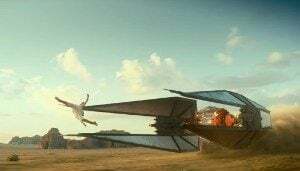 Lando’s story takes place before Solo: A Star Wars Story when he and his droid partner L3-37 are still in possession of the Millennium Falcon. 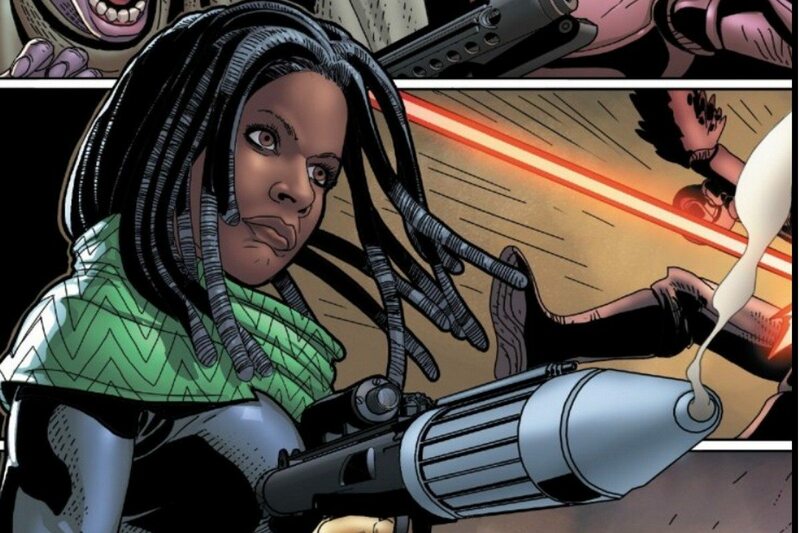 Han’s story takes place in between Solo and A New Hope and puts him and his co-pilot Chewbacca alongside Sana Starros, a character first introduced in Jason Fry’s run on the titular Star Wars comic series. Some of the back and forth transitions left me a little confused as I had to go back and re-read certain portions to remember what was going on in the various timelines, but I admit that some of this confusion might just be on my part in having to step away from the book several times while reading it. I think for the most part, the different timelines work well and weave the overall story together to the desired effect. If Lando does show up again later down the road, expect to see a beautiful blue-skinned Twi’lek woman by his side as he finally discovers in the end how to merge the two parts of himself together. 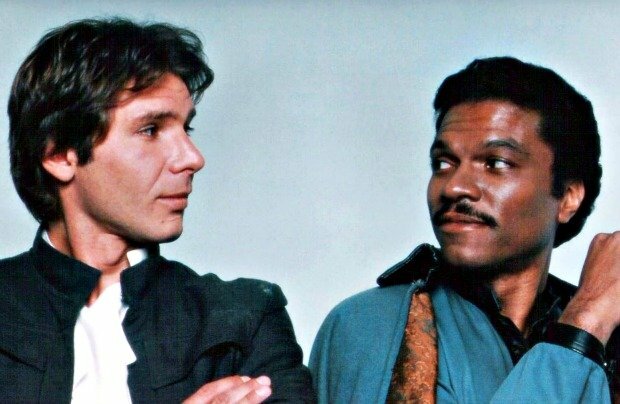 In one of my favorite moments in the book, Lando admits that he will always be a scoundrel – that would never change. But he tells Kaasha that he would like to be her scoundrel and hers alone. The book ends with the two of them walking hand in hand, finally willing to give love a shot. Whether or not it will last is left open, but I like to think that the old smoothie found a keeper. My overall opinion of the book is that it is a worthwhile read for Star Wars fans, especially fans of the scoundrels of the Star Wars universe. Admittedly, the plot is pretty standard Star Wars fare, but the characterization is really nice and even great at times. Although not a masterpiece by any stretch of the imagination, the story is an average tale with characters that make the overall experience an above average one. She’s got a lot of spirit, and she’s got it where it counts. 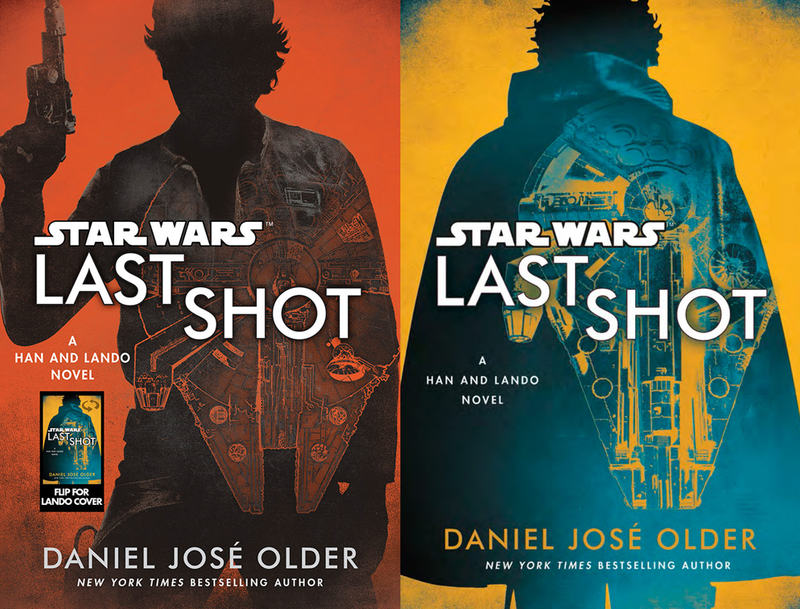 Star Wars: Last Shot is available now in bookstores everywhere. 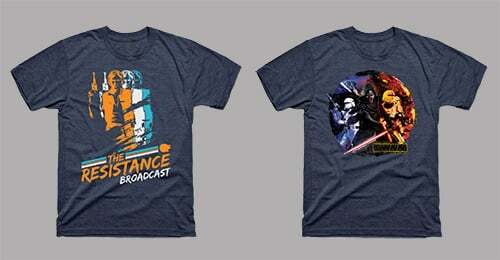 Happy reading Star Wars fans!